South African fast bowlers traditionally come from places somewhat off the map. Dale Steyn hails from Phalaborwa, a nondescript copper mining town not far from the Zimbabwe border; Morne Morkel comes from Vereeniging, all heavy industry and steel; Andre Nel was born in Germiston, educated in Boksburg, and played much of his cricket in Benoni, which makes him an East Rander, the seen-better-times gold mining country East of Johannesburg. There's even a local phrase for citizens of the East, with its collapsing mine-dumps and polluted slimes dams, its not-unpleasant sense of time and fortunes lost. "You can take the boy out of the East Rand," it runs, "but you can't take the East Rand out of the boy." For all of Nel's wild years, he's always been proud of his roots. He's an East Rander down to the tattoo on the inside of his bicep, and he loves the idea of chip-on-the-shoulder disadvantage that's essential to those who play their cricket there. "I'm a pretty stubborn oke," admits the coach of the Easterns semi-professional side. "I'm always up for a scrap, that's what we're all about, and that's what I learned from Jet [Ray Jennings] when he was a coach here. You can't do some of the things he did anymore, like refuse guys water and lunch. You've got to be cleverer and know which buttons to push. But don't tell me it can't be done. I always find a way to make the players feel special." As a younger man, Nel had a nose for trouble. His file in Cricket South Africa's offices is only rivalled by that of Herschelle Gibbs, and if there was a drunk-driving incident or a scrape with a woman to get into, he found it. He could have done with a little bit more advice, he says, someone to help bridge the gap between professional cricket and the international game, but doesn't blame anyone else for the tiresome regularity with which he found his way onto the front pages. Then again, perhaps he simply struggled to keep his appetites in check - and he wouldn't be the last player to wrestle with that greatest of umpires, morality. "I possibly did everything I could do wrong," he says. "But we came through it and I can hopefully tell the youngsters a thing or two now. When you get exposed to a lot more cash, you can start taking things for granted. It would have been nice for a bit more help and guidance upfront from CSA and SACA [the players' association]." Nel says he played his best cricket when he was confident of his place. "If you play under threat all the time, it's difficult to be yourself," he admits, and his record bears him out. 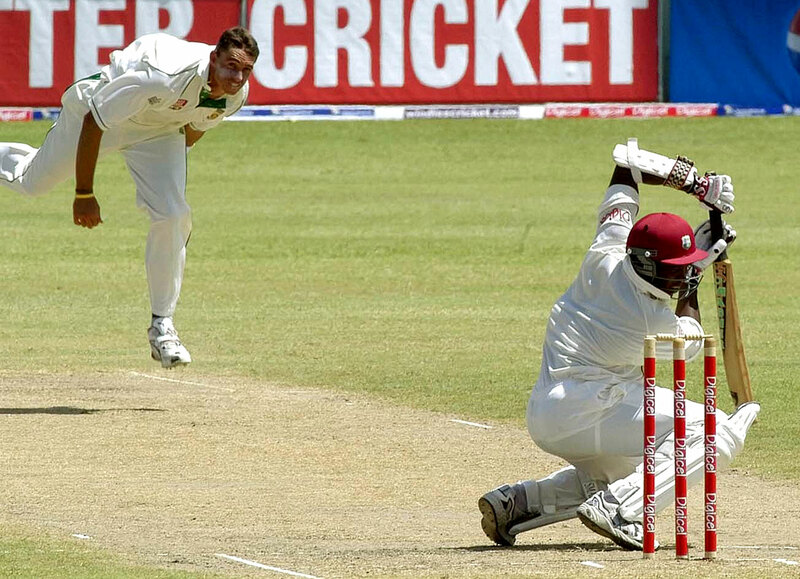 He was always good against West Indies, against Brian Lara and, to a lesser extent, Shivnarine Chanderpaul, taking his only ten-for against them in Barbados in April 2005, despatching Shiv once and Lara twice. For all the fire and brimstone of his follow-through, Nel doesn't give himself the credit as a technician he deserves. He bowled well to left-handers by bowling round the wicket, and with his supple wrist he often confused them by shaping the ball away when they expected it to dart towards middle stump. 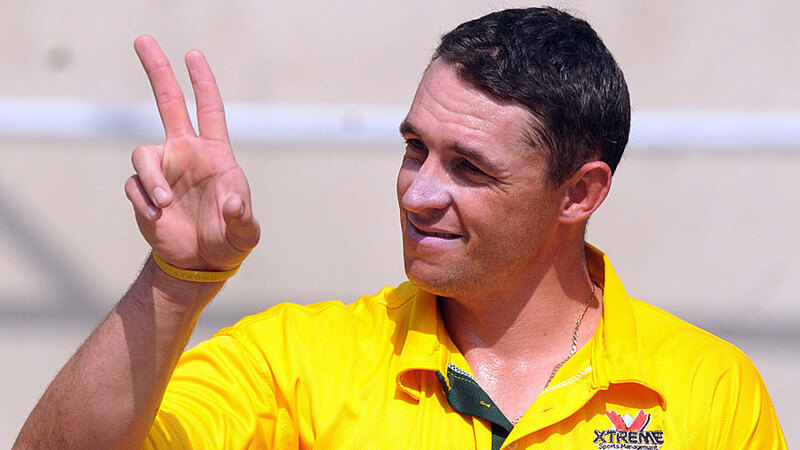 It frequently left even as good a player as Lara befuddled, although Nel is quick to point out that he could bowl well against right-handers too. "Look at my record against Sachin Tendulkar in one-dayers and you'll find it's pretty decent," he says. Ultimately he would like to become a bowling coach, either in South Africa or further afield. In the meantime, he's content to serve his apprenticeship by steering the contentedly underachieving Easterns towards something better. He's a well-organised, conscientious coach, liable to sometimes confuse gruffness with weakness, already thinking about recruitment for next season. "I'm actually a bit OCD," he says candidly. "You wouldn't think it but I'm a perfectionist. I've even printed out charts for today's training session. My challenge [at Easterns] is that some of my core players were contracted before I came on board and they're not always getting a game, so we need to find a way of looking at that." As a player, Nel was all flaring emotion, down to the odd appearance of "Gunther" his crazy alter ego, who lived all alone, high in the mountains, only venturing out occasionally. As a coach he's required to be more subdued, more cerebral, less included to take a pop at the nearest available target. "It's hard being off the field and not being able to do it yourself - I struggle with that badly," says Nel, and you know he's coming straight from the heart - as it always was with a man who was more mischief than malice.